Dr. Munim M. Al-Rawi 01/07/1944 - 01/11/2018 Dr. Al-Rawi was born in Iraq and received his early education there, acquiring a B.Sc. in Geology/Physics from the University of Baghdad in 1965. After graduating, he furthered his studies in geology/physics and oil technology and petroleum geology at Imperial College in London, where he achieved his M.Sc. in 1967 and his Ph.D in 1972. He often fondly recalled his time spent studying there, the field work that took him to Donegal, Ireland, and the many colleagues and friends he met. During his lifetime he worked diligently at his profession and was always focused on expanding his knowledge. He was an avid reader of books, article and journals, be they in geology, the earth sciences or history. He achieved a lot, but always wanted to contribute more to his profession and to instill a passion for petroleum geology and earth sciences in the many students and professional colleagues who came in contact with him. He enjoyed traveling and experiencing new cultures at the same time. His first assignment was with Seagull Exploration UK from 1972-74, evaluating exploration and production opportunities, both onshore and offshore, in the UK, Middle East and North Africa. Following this, in 1974 he became an assistant professor at the Department of Geology in Kuwait University, where he lectured, led field trips and supervised post-graduate theses. During this time, he also served as an associated consultant geologist for OAPEC in Kuwait. After eight successful years in Kuwait, Dr. Al-Rawi left to become a Senior Geologist for Petro-consultants SA, Geneva, at their base in Ireland, working as their Middle East and North Africa specialist. During this time, he spent a short period as a Visiting Professor in Petroleum Geology at the faculty of Earth Sciences at the King Abdulaziz University, Saudi Arabia (1985-86) and at the Desert and Marine Environment Research Centre at Al-Ain University, UAE (1989-90), where he contributed to the petroleum history of the UAE and worked on the Liwa project. Munim's next role was to become the Project Coordinator for HEDCO, the European Union and Jordan Co-operation project in Science and Technology in Amman, Kingdom of Jordan. Here he would utilise his expertise and knowledge in preparing exclusive reports for the EU Commission in Brussels, Belgium. He returned to Ireland and became the founding director of Carta Design Limited, where he put to good use his over 14 years of academic experience and more than 32 years of professional experience as a consulting petroleum geologist in the oil industry on North West Europe, Middle East and North Africa, by providing petroleum geoscience and energy consulting services on Iraq, Jordan, UAE and other Middle East countries to petroleum and energy companies across the world. Dr. Al-Rawi developed a strong interest in Islamic heritage and the contribution of Muslim scholars to the earth sciences. In addition to the many journals and papers he wrote on petroleum geology, he also wrote a paper on the contribution of Ibn Sina (Avicenna) to the development of earth science in Europe, and one on geology and mineralogy for UNESCO, Paris, France. He continued to write and to contribute to many articles, journals and conferences including the Middle East Oil Show, Bahrain and other MENA conferences. He was a member of the American Association of Petroleum Geologists and the Irish Geological Association. Munim enjoyed visiting Petra and Wadi Rum and wrote an article for GEO ExPro, entitled ‘Petra The Rose Red Wonder’ in 2013, as well as many other articles for the magazine. While working as an Independent Consultant Geologist, he contributed to exclusive technical reports for IHS. The next plan of his was to revisit Petra and Wadi Rum and to visit the Grand Canyon in Arizona, USA. 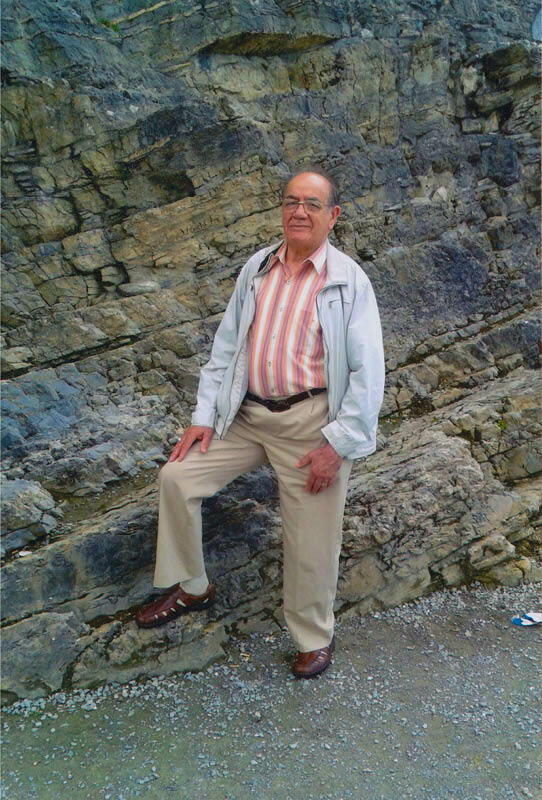 Dr. Munim M. Al-Rawi was a father, a gentleman, a pioneering geologist and a scientist. He had an abundance of energy, knowledge, and patience for his work, and for the many people he came in contact with from different cultures and faiths, but with above all a great respect for each and every one. He is sadly missed by his loving wife Mary, sons Mukrim and Basil, daughter Safia, daughter in-law Deirdre, mother, brothers, sisters, cousins, nephews, nieces, esteemed professors, work colleagues, business partners, neighbours and friends across the world. He always left an impression with anyone he he met, summed up by his favourite phrase: “Stay positive, be optimistic”.”. Despite a long exploration history, only two producing fields have been found in Jordan, yet it has proven petroleum systems and reserves of both shale oil and gas. We look at the potential within this long-neglected Middle Eastern country. The Triassic margin is a significant but underexplored frontier play in the Levant region, particularly in Jordan. Contrary to many people’s expectations, Erbil, the capital of Iraqi Kurdistan, is a peaceful, busy and surprisingly modern city, with a history that stretches back over 7,000 years. The super-giant East Baghdad oil field lies in the heavily populated outskirts of Baghdad. Can it be successfully and safely exploited?